4 Recommended Sake For Sake Lovers & Sake Beginners! | Goin’ Japanesque! Junmai literally means pure rice (純米), which also means that this sake is non-additive. Junmai sake tends to have a rich full body taste, with an intense, slightly acidic flavor. Junmai sake is usually served warm or at room temperature. Honjozo (本醸造) also uses rice as its main ingredients, but it contains a small amount of distilled brewers alcohol. Honjozo has smooth flavor and aroma, which makes this sake light and easy to drink. Honjozo can be enjoyed both warm or chilled. Ginjo (吟醸) also uses rice as its main ingredient and is brewed using special yeast and fermenting techniques, which makes this sake special. Considered as a premium sake, Ginjo has light, fruity, and complex flavors that is quite fragrant. Ginjo is easy to drink and usually served chilled. Daiginjo (大吟醸) is super premium sake that requires precise brewing methods and uses rice that has been polished at least 50%. Junmai Daiginjo is “pure rice” non-additive daiginjo sake. Daiginjo sake is usually served chilled to bring out its nice light, but complex flavor and aroma. The price of Daiginjo sake is usually more expensive compared to other types of sake. Kubota Senju is from Niigata prefecture and it is a tokubetsu (特別, special) honjozo sake. Kubota Senju was actually the first sake that I tried and I had a love at first sight with it. Kubota Senju has very light, smooth, and dry flavors. It gives you a good impression of a layered sake, and it tastes better if served at room temperature. Kubota Senju is very easy to drink and I would recommend this for sake beginners. Sawanoi Junmai Daikarakuchi is a junmai sake from the Okutama area of Tokyo prefecture. It is made by carefully selected and polished rice and it has extra dry taste and well-balanced flavor. This sake is not really easy to drink, and tastes best when it served very chilled. Very good to drink in Summer or in the beginning of Fall, since it has very clear taste and fresh aroma. Give a shot for Sawanoi Junmai Daikarakuchi if you love super dry flavor! Dassai 50 is a junmai daiginjo sake from Yamaguchi prefecture that has full-figured flavor that will embrace your mouth. It is very light, balanced, clean, perfectly sweet, creamy, and semi-dry. Dassai 50 is explosively fragrant and seductive, but still easy to drink. 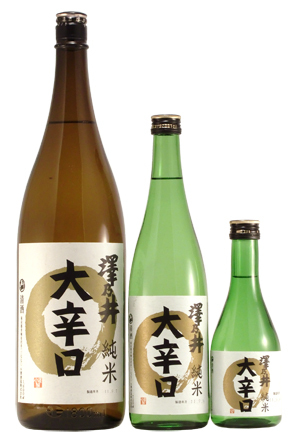 Dassai 50 is the star of sake, for its unique and elegant taste. Though the price of Dassai 50 is more expensive compared to the others, this sake is definitely worth a try! Juyondai Soukou is a daiginjo sake from Yamagata, and was probably the most expensive sake that I have ever tried. This sake is very rare and hard to find, making its price fluctuate. Last time I checked it online, the price range was around 98,000〜215,000 JPY for 1.8L bottle. I got the chance to try this sake at my favorite Izakaya in Ebisu, and they charged me around 3,000 JPY per glass. Well, since I am crazy about rare sake, I ordered two glasses of it and finished their last bottle of Juyondai Soukou. This sake tastes very smooth and rounded in the mouth, with very fresh fruity and floral aroma. If I said that Dassai 50 is the star of the sake, I would say that Juyondai Soukou is the queen of the sake, for its perfect flavor and aroma. Juyondai Soukou is very rare and not so many places have them, so don’t forget to try it when you have the chance to do so! There are many sake brands in Japan, and I think each brand has different flavor and aroma characteristics to enjoy. Beside these four brands, I would also recommend you to try the “drunken whale” Suigei Junmai Ginjo Ginrei (酔鯨純米吟醸吟麗) from Kochi prefecture, Taka Junmai Nōjun Karakuchi 80% (貴純米農醇辛口80%) from Yamaguchi prefecture, and Urakasumi Junmai Daiginjo Yamadanishiki (浦霞純米大吟醸山田錦) from Miyagi prefecture. You can find more detailed information about sake brewing process here in addition to this article, and if you would like to drink and compare the tastes of several different sake brands, you should definitely visit Kurand Sake Market during your stay in Tokyo!